Despite its heavily eurocentric outlook, Thomas Piketty's much heralded volume of the moment is an epic and groundbreaking study of national inequalities that deserves to be read by everyone, argues Rohail Ahmad. 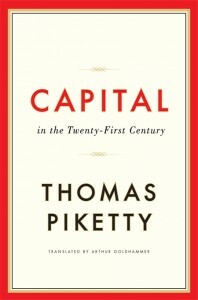 Capital in the Twenty-First Century by Thomas Piketty is the book of the moment. Joining a long line of admirers, Paul Krugman has described it as “the most important economics book of the year – and maybe of the decade.” Piketty (1971-), a French economist who specialises in the study of economic inequality, is the director of studies at EHESS in Paris and the Associate Chair at the Paris School of Economics. As the title of the book suggests – and subversive protestations to the contrary notwithstanding – Piketty’s grand ambition seems to be to bring Marx up to date. However, whereas Marx’s aim was to destroy capitalism, Piketty’s goal, quite crucially, is merely to regulate it. In many ways, thus, the book echoes Joseph Stiglitz’s The Price of Inequality and Paul Krugman’s End This Depression Now!, but while they focused on data from the past few decades, Piketty has gone back three centuries. This alone is no mean achievement. Piketty identifies two laws of capitalism, placing them at the heart of the central contradiction of capital. Put simply, if the return on capital is greater than the general growth of the economy, then this will inevitably lead, over time, to those with capital increasing their wealth in relative terms; until they eventually own all capital and thus put an end to capitalism itself. Piketty’s main solution to the problem of inequality is a progressive global tax on capital. He makes a persuasive case for this, whilst fully acknowledging that it is perhaps a “utopian ideal” for the moment and will take time to implement. He insists on the importance of greater transparency and monitoring of financial data; indeed, his proposed tax cannot work without it. Piketty also flags up the discrepancy between the reported data and what can be inferred from other sources. In this context, he quotes a fellow researcher, Gabriel Zucman, who says “the most plausible reason for the discrepancy is that large amounts of unreported financial assets are held in tax havens. By his cautious estimate, these amount to nearly 10 percent of global GDP”. 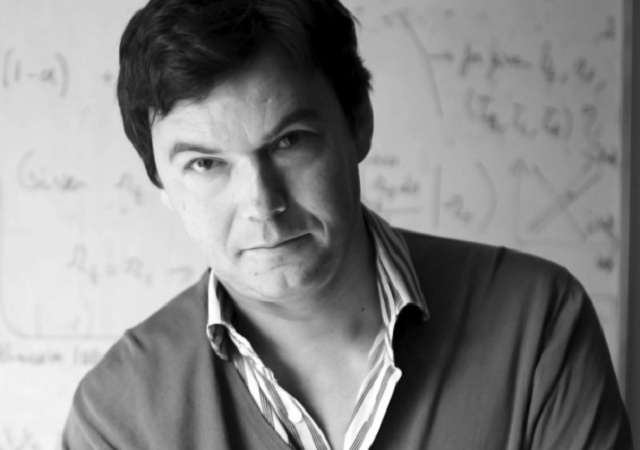 With regards to current public debt, Piketty believes “an exceptional tax on private capital is the most just and efficient solution […] The worst solution in terms of both justice and efficiency is a prolonged dose of austerity – yet that is the course Europe is currently following.” Indeed, as many have pointed out, the money stashed away in tax havens could easily pay off this debt. Moreover, even if implemented, the global tax on wealth would surely be very much a rich-country affair; from which the poor countries would hardly benefit. What they would benefit from, of course, is a global minimum wage, as advocated by Muhammad Yunus, a Nobel prize-winning economist. Piketty does talk about minimum wages, and is not against them; arguing for instance, that “this theoretical model, based on imperfect competition, is the clearest justification for the existence of a minimum wage: the goal is to make sure that no employer can exploit his competitive advantage beyond a certain limit.” Nevertheless, he does not pursue this as a companion solution to the problem of inequality, especially global inequality. In fact, he states explicitly that “This is not the place to write a detailed history of minimum wages and wage schedules around the world or to discuss their impact on wage inequality.” Yet surely, this is exactly the place to do just that? Krugman says that Piketty has provided what amounts to a “unified field theory of inequality”. But surely, a theory that does not take into account half the world – and does not discuss wages – cannot make this claim? That caveat aside, however, Piketty deserves huge credit for an epic and groundbreaking study of national inequalities, which deserves to be read by everyone. Rohail Ahmad writes about globalisation, modern slavery and multiculturalism. He teaches at Brunel University and his work has appeared in MediaDiversified.org, OpenDemocracy.net, The Voice newspaper, and CultureWars.org.uk. This book is a must read for economic graduates and those with a general interest in the distribution of wealth and inequality. Prof. Thomas Picketty, who teaches at Paris School of Economics dissects the economic history of developed countries to examine the nature of capital and its structure in the coming century where inheritance may have to play a bigger role than merit. A book with lasting consequences for the discipline it is a part of! Flipkart delivery was prompt and I got an advantageous price too. Go for it!